Latest in the series of Philippines Got Talent is Aiza. Her full name is Aiza Delos Reyes Tanggote. I am telling you this lady can sing! She has a really powerful voice with a good range and is versatile across many genres. 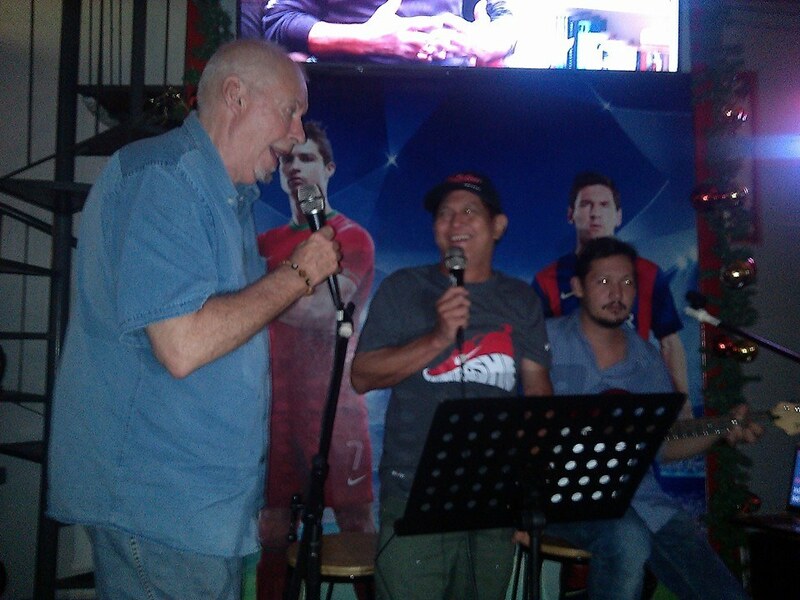 You can judge for yourselves in this series of videos shot last Sunday night at the Hat Trick Sports Bar in Bacolod. The vids were shot by Zabrina on her cellphone and aren’t the best quality but it doesn’t detract from Aiza’s tones. If you want to catch them, and I suggest you do, then they currently have a regular Sunday evening spot at the Hat Trick (thank you, Miguel) comprising of two sets starting about 8.30 pm. By the way, if you are up for it, they also have an open mic spot but more of that later. First up is Aiza with It’s Too Late, the Carole King classic. Then we have Piano In The Dark and known here for the rendition by Nina, a Filipina songstress. 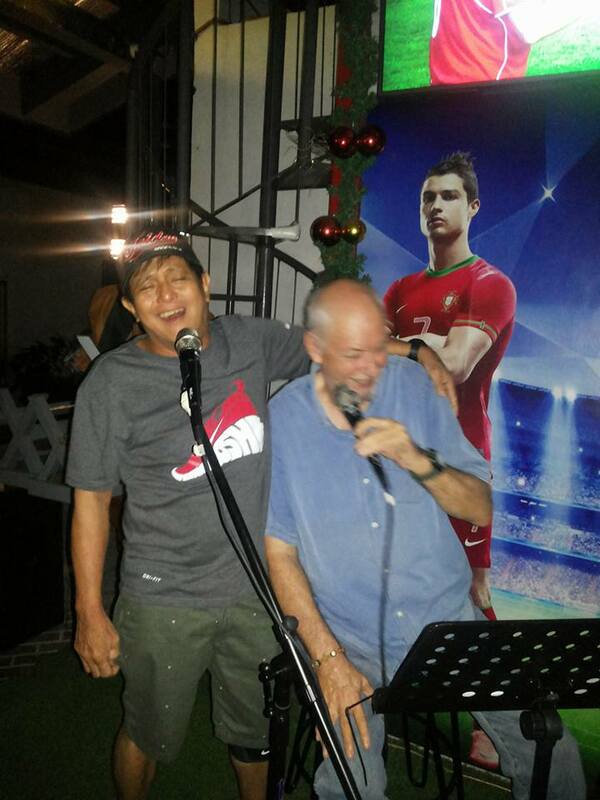 Yes folks that was yours truly attempting to sing Get Back then The House of the Rising Sun. Another great thing is meeting new friends such as Bobby Lusabia. He loves his music and we sure hit it off. Bobby hails from Bacolod but has spent the last 30 years in Manila running a business. He reckons he knows every live music venue in Metro Manila and tells me his favorite is the Road House in Mall of Asia. 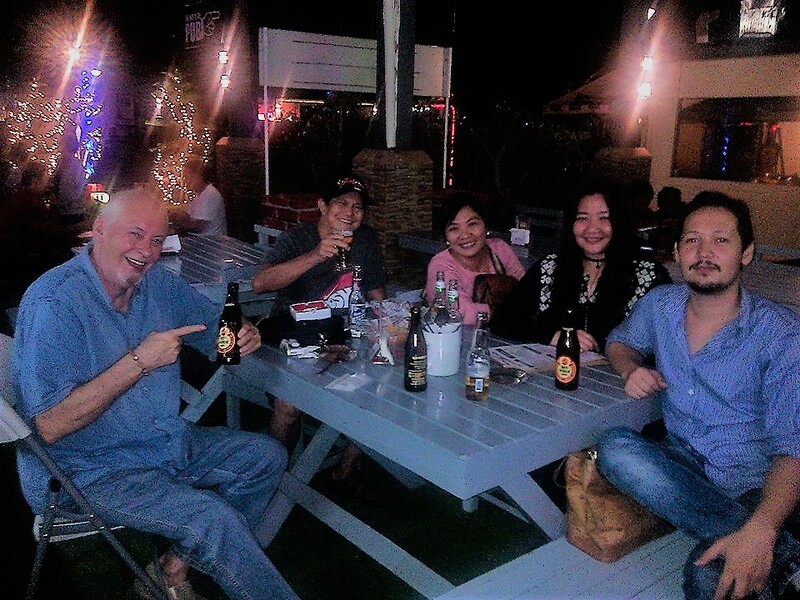 And don’t forget the Hat Trick does good food and there is an ample variety of beers both imported and from the Philippines.